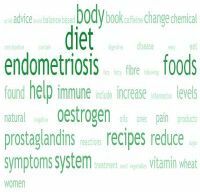 More women are beginning to discover that by cutting wheat out of their diet they are seeing a big reduction in their symptoms of pain associated with endometriosis. This subject has been researched and it has been discovered that wheat, which has been genetically modified since the 1970’s, has had two hormones added to its genetic sequence to strengthen the crop. In turn, this new way of growing attracted fungal growth on the crop, and to deal with this another hormone was added to the mix. There are other substances that have been looked at regarding the problem with wheat consumption, especially for women with endometriosis. These substances include phytic acid, phytoestrogens and xenoestrgens from pesticides. Wheat is actually sprayed between 9 to 12 times as it grows which will cause a large accumulation of pesticides in the crop. This artificial combination of hormones and crop spraying has been blamed for the increasing link between endometriosis and wheat. But this subject does require more research. The phytic acid found in wheat can leach key minerals (such as zinc) needed for a health immune system. The other pieces of the puzzle is the gluten factor of wheat and many women seem to be gluten intolerant. as well as all the other obvious foods like pastries, wheat breads, pies, wheat pasta, wheat noodles etc. The idea of changing your diet is gaining popularity. By eliminating wheat products, researchers found that nutritional treatment could reduce pain by 50 per cent and also greatly increase a sufferer's chance of pregnancy. These findings were presented to an annual conference of the American Society for Reproductive Medicine. Unfortunately, many doctors are not convinced by the nutritional approach to treating endometriosis, but this is only due to lack of research. Doctors will only recommended certain forms of treatment based on empirical evidence, and most are unwilling to put their reputation on the block unless evidence is indisputable. However, this is all down to the ‘point of view’ and beliefs of individuals, as some doctors are now willing to claim the benefits of various natural treatments. There is also evidence of the benefits of removing wheat products from the diet, based on first hand experiences of women with endometriosis, and when they leave wheat out of their diet they are seeing a significant improvement in their symptoms of pain, inflammation and bloating. Rye bread, rye pasta, (but these contain small amounts of gluten and rye is related to wheat so not advised) oatcakes, porridge oats, corn pasta, rice pasta, rice noodles, millet, and flours for bread and pastry which is made non-wheat flour like millet flour, buckwheat flour. In the UK the Medical Research Council conducted a medical audit to research findings of women who omitted wheat from their diet, and recorded how their symptoms changed. The women were all able to reduce their pain levels from an average of 4 to 1.9. Also, over 50% of those who had been trying unsuccessfully to get pregnant for several years were able to conceive.